Between 2015 and 2017 SAR presented the Linda S. Cordell Prize every other year to a living author for a book in archaeology or anthropological archaeology that best exemplified excellence in writing and significantly advanced archaeological method, theory, or interpretation. The award recognized innovative works that reached out to other subfields of anthropology or related disciplines. Such a book required a sound methodological core and a style of writing that was inclusive and transparent across social science disciplines. The breadth of Linda Cordell’s work served as a guide to the selection process. Dr. Linda S. Cordell came to the School for Advanced Research (SAR) in 2006 as a distinguished senior scholar. 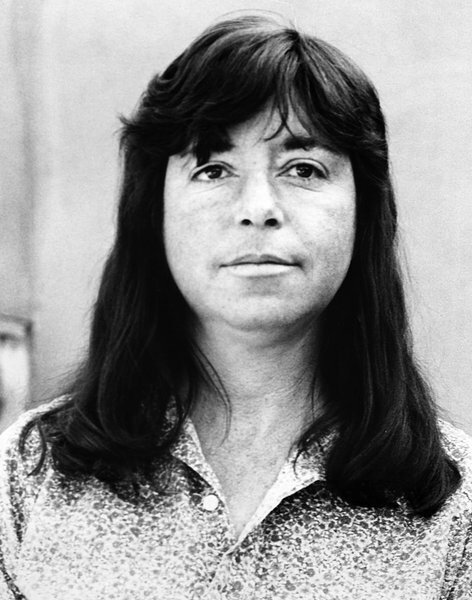 At this stage in her professional life, she was already renowned as both a member of the National Academy of Sciences and the author of profoundly important books on archaeology and anthropological archaeology in the Southwest. Among her large circle of colleagues and students, she was loved and revered as a warm, giving, sharing, and mentoring figure in the landscape of American archaeology. In 2018, the Cordell Prize was converted to an annual lecture to be given by an archaeologist whose work best represents the qualities and achievements of Linda Cordell’s scholarship. The first Linda S. Cordell Lecture will be given during the 2019-2020 academic year. The second winner of the Linda S. Cordell Prize is Dr. Scott G. Ortman for Winds from the North: Tewa Origins and Historical Archaeology (University of Utah Press, 2012). A major methodological and theoretical contribution to historical anthropology, the book draws together research from archaeology, linguistics, cognitive psychology, physical anthropology, ethnology, and Pueblo traditional histories. It addresses a long-standing question in Southwestern archaeology: what happened to the 13th-century inhabitants of the Mesa Verde region? Writing clearly and accessibly, the author introduces the reader to a range of methods, datasets, and interpretations that together build up a picture of Puebloan movement and culture change. This approach encourages a nuanced understanding of the ways that many people from the Mesa Verde area migrated to the Rio Grande through analysis of multiple datasets. The book sets a high standard for archaeologists interested in the study of ethnogenesis, migration, and cultural interaction. In this study, I have argued that ethnogenesis did occur in the prehispanic U.S. Southwest, and if the sorts of socioreligious movements that enable ethnogenesis could develop among groups of subsistence farmers living on a relatively high, dry, and isolated plateau, it would seem reasonable to propose that similar processes have been going on for much of our history as a species. Thus, ethnogenesis may lay behind many of the curious disjunctions in genes, language, and culture that anthropologist have noted among the world’s peoples, and may also lie behind the recurrent difficulty that archaeologists have had linking archaeological sequences of adjacent regions. A very significant contribution. It will prove to be a landmark study since it shows new ways forward to the many archaeologists all over the world who are grappling with the sort of long-standing problem, concerned with questions of migration and ethnic identity that Ortman addresses. It combines theoretical sophistication, solid methodology, and a detailed knowledge of a range of different types of evidence. The first winner of the biennial Linda S. Cordell Prize is Dr. Julia A. Hendon for Houses in a Landscape: Memory and Everyday Life in Mesoamerica (Duke University Press, 2010). The book explores social memory and identity through archaeological research on indigenous societies that existed more than one thousand years ago. It is at once a social and traditional archaeology of Mayan households in the environs of Copan, Cerro Palenque, and the Cuyumapa Valley. The text is beautifully layered as it examines memory and forgetting; identity as social practice; everyday domestic activities and rituals; and the features and spatial proximity of buildings and artifacts. These aspects of households and community all come to life as the daily worlds of unheralded families are explored and depicted in vivid dimension. 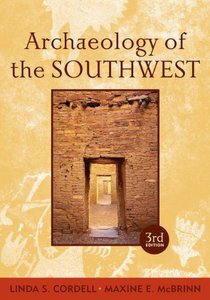 This is a forward thinking book that invokes a broad, deeply thought-provoking vision of archaeology as anthropology. Recognizing that memory does not reside only in the mind, waiting to be retrieved from some neurological equivalent of the Roman orator’s memory palace or the computational model’s hard drive, frees one to consider how the inescapable sociality of human beings undermines any simplistic equation of the individual and remembering. At the same time, dismantling the reification of social groups as bounded and unchanging entities allows one to reconfigure them as collections of people connected through practice and meaningful interaction. Identity and memory are practices that are constituted and reconstituted over time, practices that involve forgetting of certain aspects of history as much as celebrating others.